A couple of months back, Arthur learnt to open cupboards and drawers and it soon became his favourite activity. Nothing was better than opening a cupboard. Not toys, not Mummy...nothing. And that's when I realised, it was time to start childproofing! It wasn't so much the fact he enjoyed taking stuff out of my cupboards that was the problem (although very messy) it was more that I was worried about him swinging off the cupboard doors or trapping his lovely little fingers. Now, I can't speak for everyone but personally I find many of the childproofing cupboard products downright ugly. I spent enough time and money sourcing the perfect sideboard and TV unit for my living room - I wasn't about to go and spoil them with big, visible locks. And thankfully, I didn't have to! 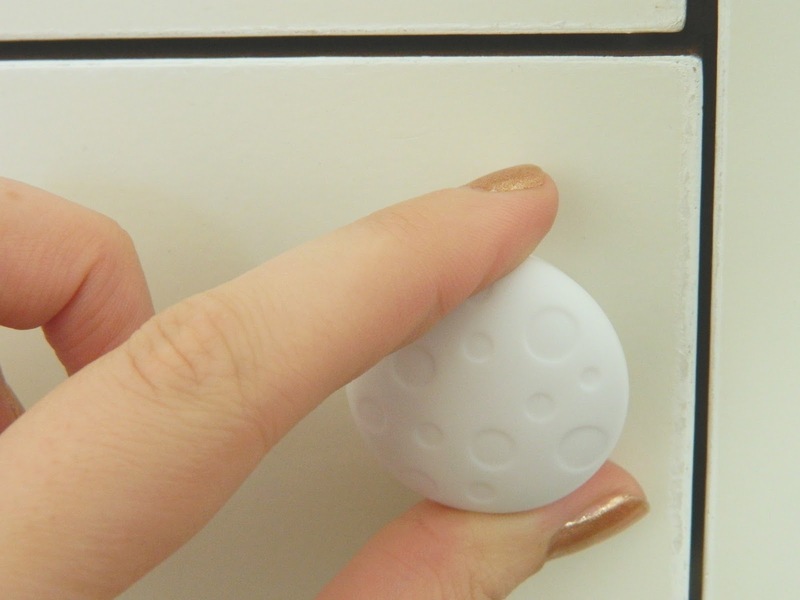 Upon searching Amazon UK I came across these magnetic cupboard locks for childproofing cupboards and drawers. 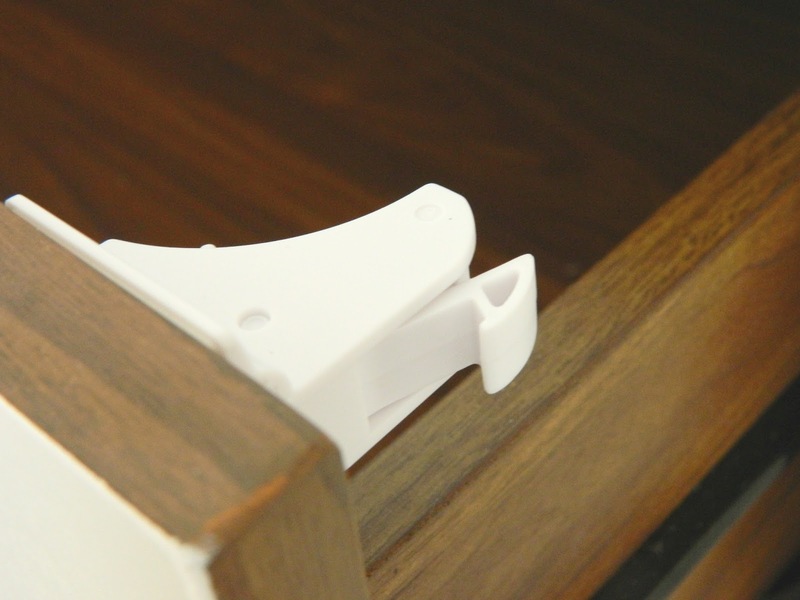 These fantastic little magnetic locks allow you to keep the contents of your cabinets and drawers completely off limits without spoiling the look of your furniture. You don't even have to drill them onto your cupboard doors, as they actually come with adhesive tape backings. Now, you probably don't think that tape sounds all that permanent but it really does work! All my locks have remained perfectly in place and even though Arthur has tried the cupboards and drawers a few times, the locks haven't budged. The only downside to these locks is that in order to open your cupboards and drawers, you'll need to use one of the magnets provided with the childproofing locks. For me, this isn't much of an inconvenience, especially since the locks help to keep both my child and the contents of my cupboards safe. I'd much rather have to grab the magnet and use it a few times a day than Arthur trap his fingers! I'm not the best when it comes to fitting household things but even I managed to childproof my cupboards and drawers with these magnetic locks, thanks to this handy YouTube video. The key is to make sure you work out where to put the locks before you actually stick them down. Once you've stuck them down, it's quite hard to reposition them - you may just about manage it if you do it straight away. You can get a pack of 8 locks and 2 magnetic keys on Amazon UK for £15.99 and Prime delivery (if you've got it). 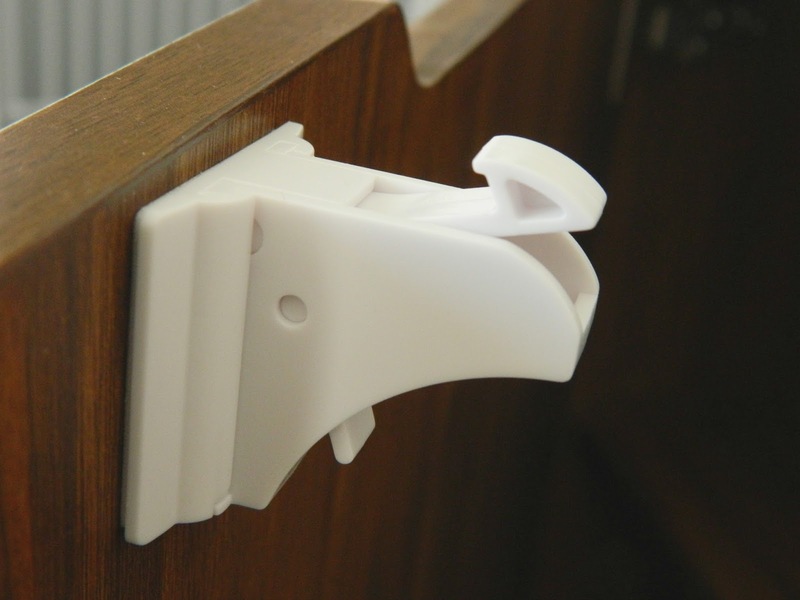 I know this is much more expensive than some of the other childproofing cupboard locks out there but if you want to avoid spoiling the look of your cupboards and drawers, these really are the best option and totally worth the price in my opinion. The reason I wanted to share this post is that another parent blogger on Facebook was so happy when I told her these things existed! If she didn't know about them, I thought maybe other parents may not have come across them either. They've really made such a difference to me and Arthur has lost all interest in attempting to open the cupboards and drawers now. I call that a win! Don't you? The Magnetic Cupboard Locks can be purchased from Amazon UK.